One important strategy for achieving a sustainable architecture, is to use materials that will age will dignity, perhaps even becoming more beautiful. In that way, materials won't have to be changed as often, and the energy asoociated with production and transport of new materials will be saved. While my friend Erlend and I were looking for a duffle coat for him on Friday, we visited the department store Sundt in Bergen, designed by architect Per Grieg. 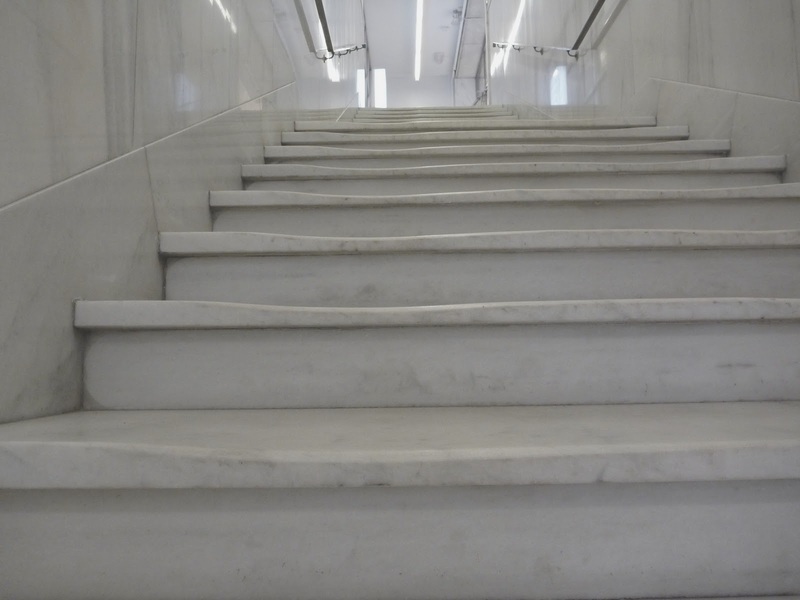 A venerable functionalist building from 1938, there's a generous use of marble in the interior, including original stairs of matt marble, and while I was walking down one of them, I noticed how the steps had been worn down by decades of use. 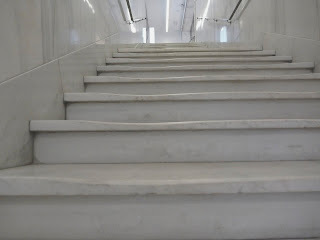 However, in a natural material such as marble, wearing actually looks nice. Let's use materials that grow more beautiful with age, as a step on our way towards sustainability. And this is blog post number 100! That must be quite a lot of text (mostly) about architecture, and it's been very much fun writing so far. Wish me luck on the next 100.